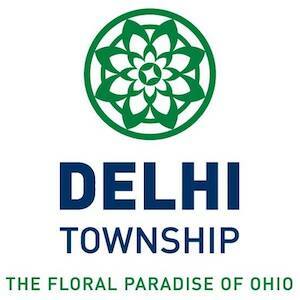 In 2015, Delhi Township’s Board of Trustees and the local business association created a 20-year plan that will help address the community's needs and drive the young demographic to the Delhi Pike area in the future. Most of the buildings in the area have been around for years, and the Board is interested in revitalizing those buildings to attract new businesses and housing options for residents. The route from Delhi's central business district to Mount St. Joseph University — referred to as "The Pike" — will become an area for restaurants, bars, grocery stores and housing. The Board has been working to bring developers on to the project and zone the layout of the area. About 10 new businesses that are already in Delhi are joining the project, including a Waffle House and Verizon store. Although these chains will remain in Delhi, it is unlikely that others not already in the area like Target or Olive Garden will open due to no interstate access and the city's lower population. “We would love to have them, but we're still trying to get a little bit of everything,” says Gregory DeLong, community development director for Delhi Township. A key part of the redevelopment will be to have businesses that appeal to existing residents, as well as businesses that will help draw in new residents. Residents are interested in microbreweries and more sit-down dining options; the plan for The Pike will have similarities between what you see in Over-the-Rhine and Oakley. Even though Delhi is only 10 minutes from downtown, one major difference is that it's an auto-oriented community with little to no other types of transportation. There is a possibility for a bike path as part of a return investment study, which will run from Mount St. Joseph to the central business district on Anderson Ferry Road, just over one mile. With planning already happening, current residents do not have to worry about leaving the area. “What we're trying to do is keep them happy and keep them there with different housing options, but also try to attract new people and businesses into the community," DeLong says. The cost of the project is still up in the air, but will cost in the millions. Delhi is looking to purchase land and raise funds for the project. But there are plans to apply for grants from the HCDC and other funding agencies. Once funding lines up, construction will begin immediately, and Delhi's central business district will see the boom that DeLong and other members of the community are looking for.